Never blame your tools again with the Stainless Steel Barbecue Tool Set. Complete with everything you need to master the humble barbecue, each utensil in this five-piece is made from durable 18/10 stainless steel, with an ultra-modern mirror polished finish. Inside the set you’ll find a barbecue fork, spatula, grill brush and a pair of lockable tongs – all with extra-long, heat-resistant handles, to protect your hands from the heat next time you decide to fire up the barbie for a sausage sizzle with the family. It’s even contained within a metal carry case that clips shut and can be carried around like a briefcase, so that people know that you mean business when it comes to grilling. Includes all the barbeque utensil essentials you need. Ergonically designed to achieve ideal balance, weight and feel. Each piece features a convenient hanging hole for neat storage. 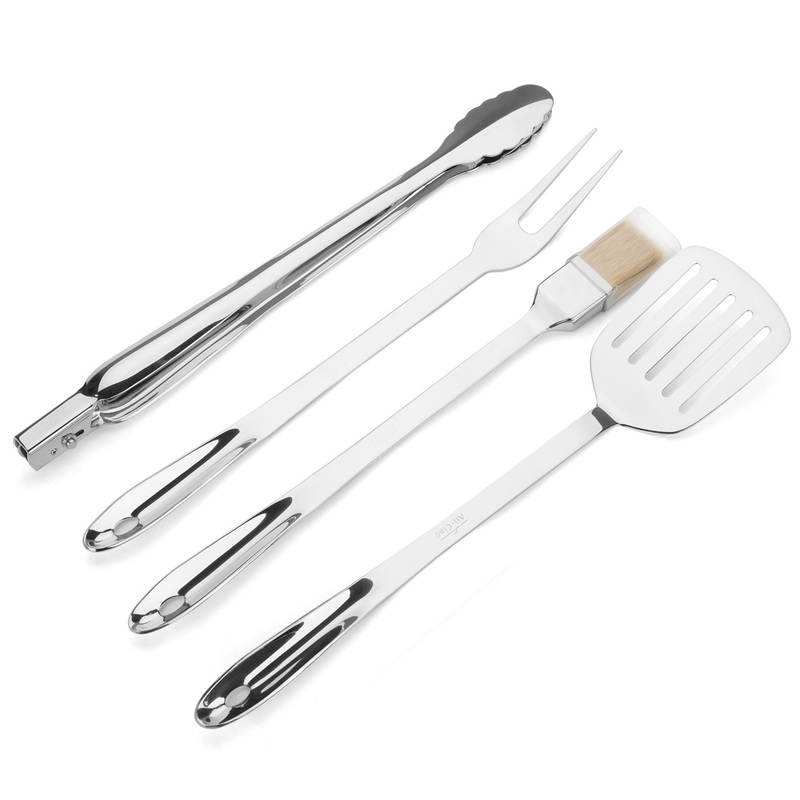 Presented as a set of four utensils in a metal carry case for easy portability. Carry Case – 49cm (w) x 21cm (h) x 10.5cm.